What a wild week it’s been… it’s not even Thanksgiving and we had our first snow storm here in central New Jersey! Luckily, it’s nice and warm here at the HIP office. 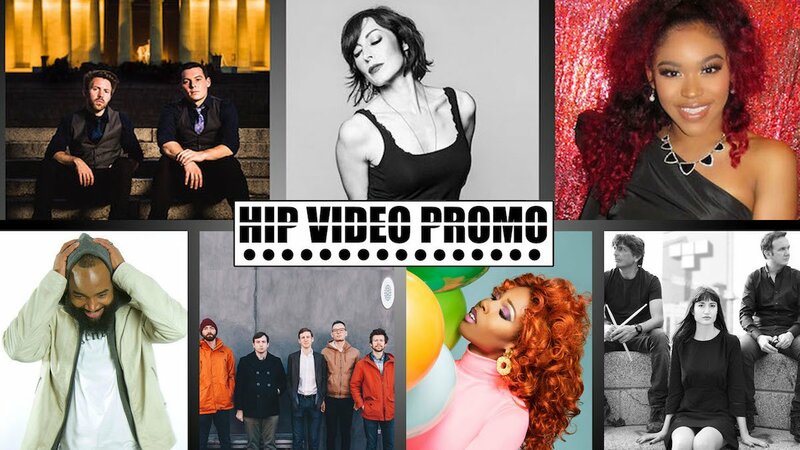 Read on to check out the latest HIP Picks – Weekly Client Roundup and see what we’ve got in store! With their previous releases for “As Long As I Can See” and “Higher,” DC’s Broke Royals have navigated a path that intersects soaring pop rock songwriting, deft production skills, and emotion-filled lyrics. Their latest single, “Bad Chemicals”, captures the uncertain moment we’re facing as Artificial Intelligence intersects with Biotechnology, describing a protagonist who struggles with PTSD. They’ve once again partnered with director Scott Hansen for the clip, which shows veterans fighting the battles that happen after coming home. Julia Othmer’s new video for “Purple And Gray” will sweep you away. The mysterious clip, showing Othmer wading into the water in a black-and-white clip, is the perfect complement to her sensual, adventurous, and intoxicating sound. We’re also sharing “Bring Peace For Christmas”, a stop-motion animation clip that’s sheer seasonal joy. Just as flexible as Othmer herself is director James T. Lundie, who’s behind both clips and also produced her upcoming album SOUND. Taking influence from acts like Radiohead, Pink Floyd, Beck, and The Who, Earthquake Lights come from New York City and are ready to shake things up. Though the five members of the band have influence from classical and jazz, there’s no doubt they’re a rock and roll act. With their debut album Distress Signals on the way, they’ve now shared the clip for “Choke ‘em Up” which was recorded live in-studio at Douglass Recording. Danii Roundtree is a retro goddess sent from heaven above. From her hometown of Miami to studying at Berklee College of Music in Boston and The American Musical and Dramatic Academy in NYC to her current residence of Atlanta, she’s built major street buzz. Now, Roundtree is ready to open up with Memoirs, and her funk and soul elements certainly tell a story. Her first single is “Crave”, and it hits the sweet spot: dressed as a traditional pin-up girl, she lets her heart lead the way as she stumbles upon the apple of her eye. Joshua Israel is a preacher and award-winning singer-songwriter – not to mention, he’s a proud businessman and most importantly, a devoted husband and proud father of seven beautiful children. Taking influence from everyone from James Brown to Kurt Franklin to Rod Stewart, Joshua Israel is a well-rounded musician. His latest offering is “You’re Not Alone”, and it has a message we all need to hear: even if you’re not in religion, God is always here. NODe (“Not Ordinary, Dead”) is an Italian powerhouse of a band that transcends genres, time, and influences to place them at the epicenter of creative expression. This group of seasoned musicians joined forces in 2011 and have blended indie, pop, punk, new wave, and darkwave on several releases, most recently Rcade. Inspired by the 80s and set in a retro arcade, their video for “S.O.D.A.” might be their greatest visual yet. If her new single “Don’t Stop” is any clue, Simply Rayne simply won’t stop until she gets to the top. Self-described “Afro-tina” Reiana Fernandez – known to the world as Simply Rayne – was raised on classics like Stevie Wonder and Diana Ross, and on her own explored modern icons like Bruno Mars, Rihanna, and the queen herself, Beyoncé. “Don’t Stop” likens the bliss of dancing to the carefree purity of new love, and the featured verse by Baby Bash adds a hint of Latin flavor to this tropical soul-pop track.